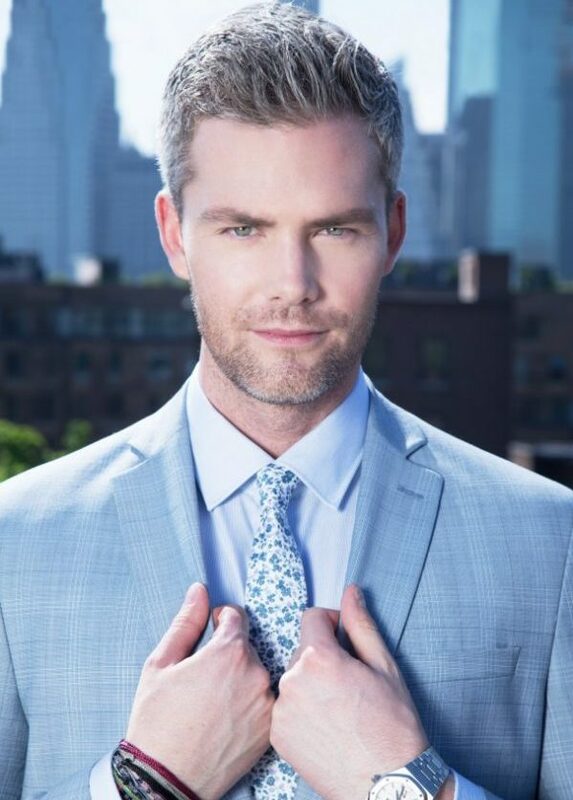 Ryan Serhant is the ultimate deal maker. He has proven on reality tv that he can sell just about anything from multi million dollar apartments to hot tubs- it’s all about the approach. 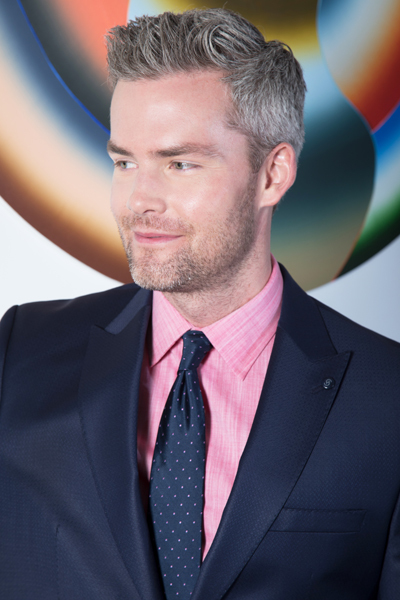 From his beginnings as an actor to running one of the top real estate teams in the competitive landscape of NYC realty, there is nothing that can stop the trajectory path of this charming and enigmatic dynamo. The Serhant Team which is led by Ryan was just named in the Wall Street Journal Real Trends report as the #1 team in New York, again, and #2 in the country. 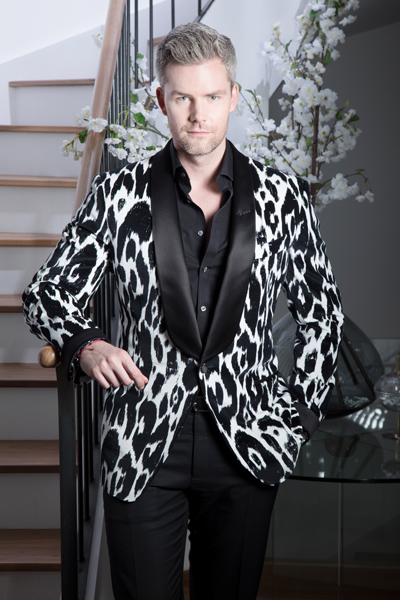 With two reality tv shows on Bravo, Million Dollar Listing NY and Sell It Like Serhant, as well as a new book coming out in September, Resident Magazine sits down with Ryan to talk about the secrets of his success and what’s next on the horizon. When I started in the real estate business 10 years ago, my parents said you are entering a field that is pretty crazy – sometimes it will be good to go back to reflect on your journey. I kept notes on a lot of deals and anytime I learned something I wrote it down, which eventually turned into this agent playbook. Over the years I built a team and handed them this guide, and then Sell It Like Serhant (the TV show) filming started last year. I decided at that point, since I have my agent playbook and I’m teaching people all around the country how to sell, that I should create a playbook for how to build a sales career and how to really sell anything. There is nothing out there like this; there are personality books that are like “this is how that person sells” and there are books to teach you how to sell a banana, but there are no books that teach you how to build a long-lasting sales career as a sales person or how to build a great side hustle on top of your day job, and that is what this book is for. If you were to give a brief spiel about the secrets of selling, what would be your biggest takeaways? There are a lot of secrets, even though nothing is really a secret. I think that a lot of issues that sales people have to deal with are discipline and follow through. Sales people are a very strange breed, they are licensed or not licensed, and they just assume that their product should sell and there shouldn’t be that much work involved. Sales people need to practice and train the same way the best athletes do; there is spring training for baseball, there is training camp for football, and these athletes get paid millions and millions of dollars to practice, practice, practice for short games, and yet people who sell never practice. It doesn’t make any sense to me. One of the big things that sales people need to do is create discipline and start habits that will make them highly successful in their profession. My book, Sell It Like Serhant: How to Sell More, Earn More, and Become the Ultimate Sales Machine, goes into how to do that and how to create work ethic even if you don’t think you have work ethic. A big part of it is starting with the relationship and not focusing on the sale. The people who are focused on the sales are like the saying “a watched pot never boils.” You can’t put water in a pot and then stare at it, that’s not how you do it. You have a conversation, you talk to people, get to know them and the product will become part of the conversation; people don’t like to be sold, they like to shop with friends and that’s what will happen. Aside from this, what are some of your other current projects? We just wrapped Sell It Like Serhant and the seventh season of Million Dollar Listing: New York is now premiering. I am doing a lot of personal investing in real estate and renovating projects of my own, which is fun, and I’m just growing the team. The Real Deal, which is the be all and end all for real estate in New York, just named my team number one. What was the craziest moment you have had on Million Dollar Listing? Throughout the entirety of the Million Dollar Listing series – the craziest moment was shutting down Times Square and proposing to my wife and. Also having a camera crew follow us to Corfu to cover our wedding was crazy. I don’t, I mix everything together. It would be too hard to try to live your life in a sequence of hours, where you go to work from these hours and you live your life in these hours; that seems unhealthy to me. I try to do everything all the time. I am always at work and I am always living my life and I talk to my wife ten times a day and I see her at night; I keep her posted with where and what I’m doing. She comes to client dinners with me, she’ll come to open houses with me even though she has her own job; that way it doesn’t feel like I get home and I’ve ignored her all day and now I have to pay attention to her, we’ve been talking all day. And by the time I get home, we’ve known exactly what’s been going on all day and now I just get to see her face. What has been your strangest fan experience? I had a guy stop in the middle of Broadway and Houston in his car and screamed, “You’re that guy!” And he got out and caused a car accident. That was the weirdest, most awkward, most uncomfortable experience of my life because then I couldn’t really go anywhere, what was I going to do, run? I had to take a photo with him as thousands of cars were piling up behind him; it was a disaster. 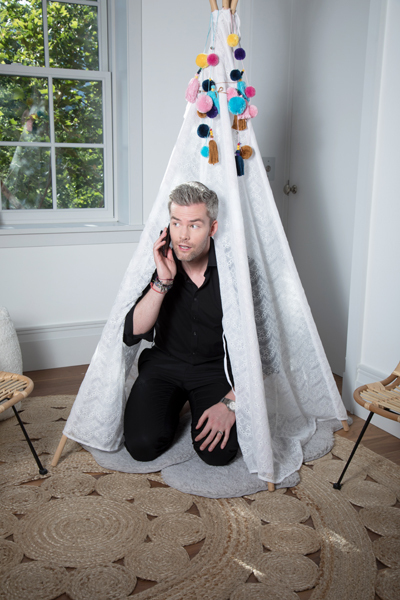 How were you first discovered for Million Dollar Listing? I went to an open casting call at the Hudson Hotel with 3,000 real estate agents. Did you apply your techniques from your book to get the part? I hadn’t written the book yet, that was 2010. No, I was just myself. When I first came to the city in 2006, I wanted to be an actor and had starred on an internet reality show called In Turn to become the next star of As the World Turns. It was on CBS.com, so I had been in a reality setting before, I knew what producers were looking for and I knew that I couldn’t bite my tongue because its reality TV, you have to say what’s on your mind, go hard and be real. When you studied acting, did you ever think you would become a reality TV star? No, nor did I ever think that I would be a real estate broker… in New York City of all places. What was the biggest deal you have ever closed? I sold an entire building, but the biggest deal I’ve done in the last year has been a three bedroom on Park Avenue that sold for $36 million. What would your dream property be to have as a listing? Something extremely expensive that sets a record and sells in one day, whatever that is, it’s my dream property. What’s been the biggest challenge you’ve ever encountered? Humans- people and greed; honestly the biggest challenge I’ve encountered every day is greed. That’s it. It’s people wanting more with no backing for it and a lot of my job is how to assure someone with a decision that I know is right for them and that I know if they don’t do it, it’s going to hurt them and that there’s going to be an “I told you so moment” in six months. But how do you get around that with somebody that is greedy? It’s really hard; it’s the toughest challenge you have in New York. Everyone is always looking for something bigger and better. Which is okay, I’m okay with that, I’m just not ok with it when it hurts you. I’m greedy for success, I’m greedy in the sense of the word, I want more and to do better for myself, I want a great family. I want more, more, more, more, but at the same time I wouldn’t sacrifice anything for greed, if that makes sense; and a lot of New Yorkers will. Which high profile client have you worked with that surprised you the most? Everyone that I have worked with for the most part is super nice, to be honest. We recently worked with Jason Biggs from American Pie and his wife Jenny Mollen, they surprised me with how funny they actually are in real life, sometimes you see comedians and actors who are one way on TV or in movies and then a different way in real life; they are truly hilarious people. Right now, I would say Manhattan. I would say SOHO because I work there and I live there, but we are soon going to be moving to Brooklyn and there are a lot of places in Brooklyn that I like as well. And you’re about to start your own brokerage in Brooklyn too? No, I have a very large team, and so I bought a brokerage last year and absorbed them into my team and now they run my Brooklyn office. Where do you think there is hidden value in the city? I would say Greenpoint, Downtown Brooklyn, and Red Hook. What do love most about living in New York City since you first arrived? The people and how intellectually curious everybody is. You can meet 100 people a day in New York City and not a single one of them will do the same thing as the one before- I think that is really unique. There are a lot of cities in this country that are specialized or people have one type of job, whether it’s finance or tech, or steel, etc. New York City is filled with people who are amazing and just trying to work their butts off from all over the world and I think that’s pretty incredible. What are some of your favorite places around the city? There is this really new Greek bakery in Tribeca that is run by the team who own the restaurant, The Greek, which is just south of Canal Street on Greenwich. My wife is Greek, so we spend a lot of time at both of those places. There is also a restaurant on Spring Street and Renwick called Giorgione, which is a great place that not a whole lot of people know about, but we love going there. We don’t really drink, so we don’t go to a lot of bars. A big thing for us is fitness and we go to the DogPound Gym on Renwick and Canal. Once we finish filming, just to work, spend time with my wife and we’ll go to Greece eventually as well. Are there any spoiler alerts? I don’t know, there are so much in this season, honestly, things get crazy, crazier than they have ever gotten in the last seven seasons. It’s a very intense season and a lot happens. How is Sell It Like Serhant Different from Million Dollar Listing? It’s a completely opposite show from Million Dollar Listing, it wasn’t real estate at all. It was me going and helping people save their jobs, sales people who were about to get fired and going in and teaching them to sell whatever it is they sell. The episodes ran the gamut. I helped a girl who sold hot tubs, a guy who sold kitchen cabinets, somebody who sold dresses in New Jersey, and a woman who sold body lotion in Long Island. I would say the hot tubs were fun, because that was so different for me, I was a fish out of water. It was tricky; like everything else, there is a lot of products that people can use but a hot tub is a luxury product that no one needs, no one is going to die tomorrow if they don’t have a hot tub; it’s purely a luxury product. In my world, someone might not need that 36 million dollar apartment, but they need a place to live, everyone needs a home, they all want a place to live. In New York City, everyone wants a nice home and they’re expensive. So selling something that is purely a luxury item and how to show that, and excite people about it to get them to buy one is another story. That episode was probably the one that I will remember the most. What is the biggest life lesson you’ve learned from all of your experiences, from the time you began this journey? There’s a quote by a famous jazz musician, who was on his death bed and was asked through thick and through thin, the ups and downs of your career, and through love and lost, a hit record and then a bad record- how did you stick through it all, keep motivated, have a good attitude and a smile on your face, how did you do it all? And he said ‘If you take care of the music, the music will take care of you.’ That is something that I have really learned, that if you take care of the work, and you do the work, the work will take care of you.